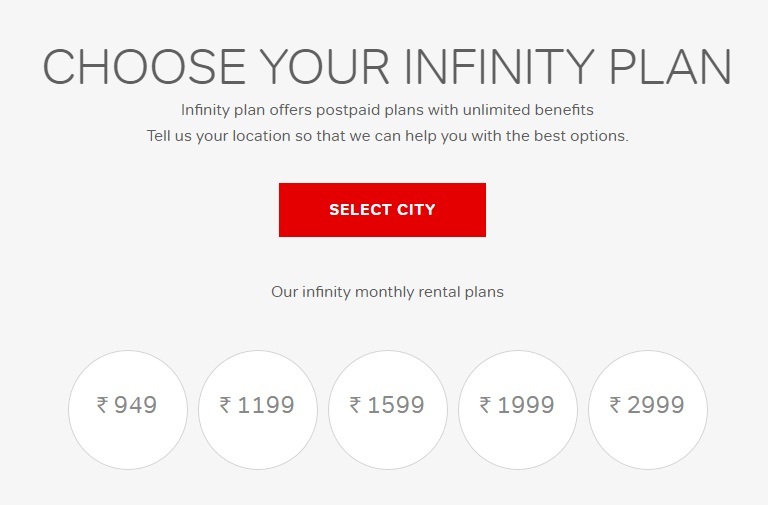 One of the leading telecommunications company in India, Airtel, has come up new postpaid plans under its earlier launched my plan infinity series. 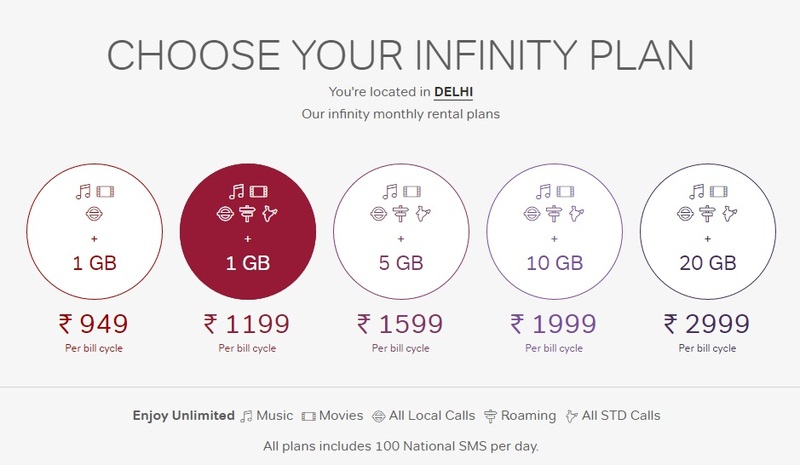 Airtel started the Infinity plans last year in August, allowing the users to pick unlimited data, local, STD, SMS and roaming as per their need. The company has come up with two new plans with monthly rental of Rs. 1,119 and Rs. 1,599 respectively. Let us take a look, what these two plans has to offer. The new Rs. 1,119 my infinity plan, offers unlimited voice calls including local, STD and roaming for one month. This benefit was earlier available with the other higher plans only. In addition to that the new plan also offers free 100 national SMSes per day, 1GB of 3G/ 4G data and free subscription to Airtel’s new apps Wynk music and Wynk Movies. On the other hand the next new plan with Rs. 1599 monthly rental also offers unlimited voice calls including local, STD and roaming, free 100 national SMSes per day and free subscription to Wynk music and Wynk Movies combined with 5GB of 3G/ 4G data for one month. Some of the earlier plans are also upgraded. Rs. 949 plan offers free music, movies, local calls and 100 SMS, while the Rs. 1,999 and 2,999 plans offer unlimited voice calls including local, STD and roaming, free 100 national SMSes per day, free subscription to Wynk music and Wynk Movies plus 10 GB and 20 GB 3G/4G data respectively.